Spring means the beginning of outdoor adventure season! You need a vehicle as ready for the adventure as you are; you need a Volkswagen Jetta SportWagen. This fun-to-drive wagon has features aplenty and space for the family and cargo. The impressive interior space makes this a super daily driver that is easily ready for a fun weekend in the mountains! Emich Volkswagen in Denver now has several VW Jetta SportWagen options available in our Certified Pre-Owned inventory. You can choose the right year and features to meet your wants and needs from our super selection. The 2014 VW Jetta SportWagen pictured above has Electronic Stability Control, navigation system, rearview camera, and a power tilt and sliding panoramic sunroof. 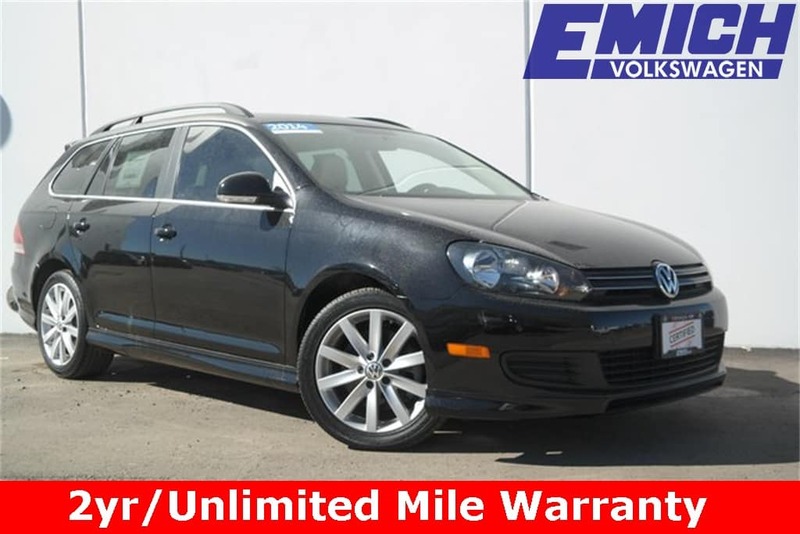 This gently used wagon is powered by a 2.0L TDI Diesel Turbocharged engine which provides impressive performance and fuel efficiency. We also have a low mileage 2013 model with the same powerful and efficient engine. It also has similar features, including the navigation system, panoramic sunroof, and Electronic Stability Control. Or choose the 2012 VW Jetta SportWagen with 17″ Alloy wheels, panoramic sunroof, remote keyless entry, and Premium VIII TouchScreen. 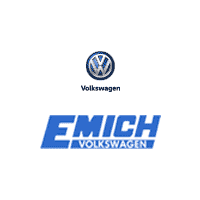 The Certified Pre-Owned Program (CPO) at Emich VW has so many amazing benefits! The Limited Warranty is 24-months / unlimited miles from the new certified purchase date or the expiration of the new car warranty (whichever occurs later). The warranty deductible is only $50. The CPO also has a 100+ Point inspection and comes with the Vehicle History Report. Plus, you get the peace of mind that comes with Roadside Assistance. Let the experts at Emich VW tell you more about the CPO program when you stop in to see our super selection of the VW Jetta SportWagen!